Technology as improved a lot in all the aspects especially mobile phones where every one could be linked at once through it around the world but at the same time there also prevails some glitch in the utilization of it where it is not safe talking on the phone while riding the vehicle perhaps many counties prohibits this action. iBike Rider iPhone case can be easily mounted in the wrist with weather-proof case that gives the rider an easy access to communication through their iPhone while there are in the move. For the users to navigate easily with their device, the case is features with transparent plastic cover which proofs water as well. 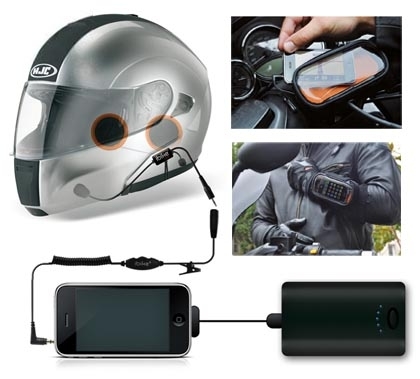 Just by wrapping it around the hands with straps, plug your iPhone into the case, put the helmet on your head, ready get start! now you can answer calls and or listen to music and receive GPS instruction as well, in case they need road directions from one place to another all in the way.